At Coaches 4 Success, (Coaches4Success.Com), we are dedicated to offer our clients life coaching services that can improve the quality of their lives. One way is through goal setting. This collaborative process not only helps with clarifying what our clients want from life, but also constructing a vision of success as it relates to each client’s unique circumstances. Some goals relate to the betterment of a career, finances, education, and others have to do with family, lifestyle, and changing habits or attitude. Working with our clients, we often notice not having a clear vision can make the journey toward success confusing. Without having a clear direction, it would be hard not to get lost in life. Establishing goals in the context of a life coaching session creates support for the client, and at the same time, increases the accountability toward achievement of those goals. Writing down goals using one of our helpful life coaching worksheets is an important method to increase motivation toward achieving them. Since goals need to be manageable, the more specific the goal, the more manageable it becomes. It is often helpful to prioritize one’s objectives and focus on one goal at the time. We encourage and work with our clients to mobilize resources in their lives that can help them meet their goals and to avoid distractions that can become a barrier to successful achievement of the life they want. We know from experience that achievement of one’s goals helps to build self-confidence; therefore, we encourage our clients to commit to the process. We also emphasize having patience and persistence which is essential to the process. By practicing patience, we are not trying to dismiss the urgency that our clients feel in meeting their goals. In fact, the work we do is time-bound. At the same time, it is important that we don’t add more stress to our clients’ lives by having unrealistic expectations when it comes to achievement of their goals. Every client is unique and one size does not fit all. We respect our client’s time table as we collaborate in creating target dates for meeting their goals. Finally, the goals need to be written in positive and inspiring language. Expressing goals in an affirmative manner can help generate energy to support its attainment. Not only goal setting needs to be done within an uplifting life coaching context, but also the entire life coaching process needs to embrace confidence and decisiveness. 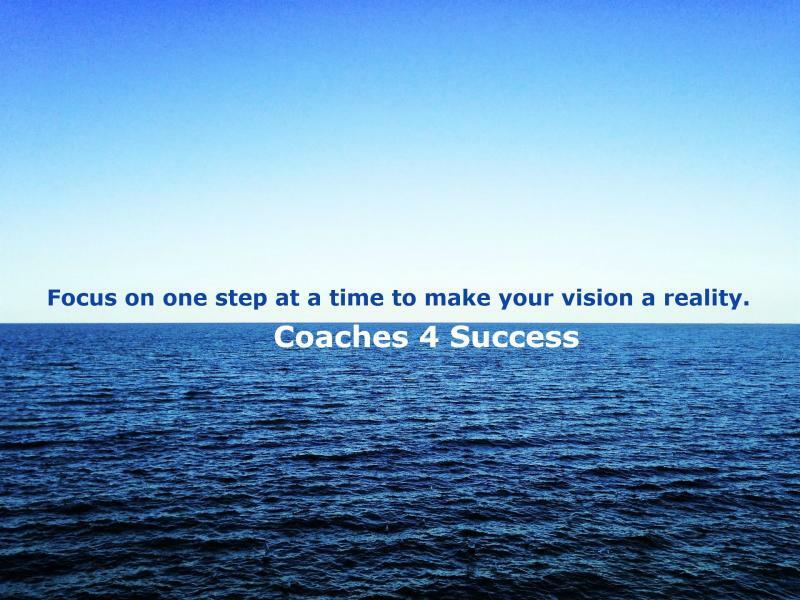 At Coaches 4 Success, we look forward to help our clients establish clear and realistic life enhancing goals and provide life coaching services to support the manifestation of their goals. Wellness is the foundation for living optimally. Without wellness, it is difficult to enjoy a good quality of life or to pursue one’s life passion. Life coaching with an emphasis on healthy living can assist clients to create goals toward wellness. Common wellness goals for people who obtain services at Coaches 4 Success, Inc include, but are not limited to: 1) stress management, 2) smoking cessation, 3) work-life balance, 4) maintaining a regular exercise routine, 5) improving their medical support network, and 6) sustaining healthy eating patterns. Successful life coaching often starts on a positive note. On the path toward healthy living, a life coach who respectfully invites you to make a list of your current habits is an important step geared toward wellness. Acknowledging and affirming your positive lifestyle habits can feel encouraging. The more a life coach focuses on your healthy habits, the more likely you are to continue them. People often don’t get noticed for the wonderful choices they have made in favor of their wellbeing. Such a supportive style of life coaching helps to create a positive foundation for the process. The behaviors and choices that do not promote your overall health need attention as well. It takes a great deal of courage to reach out to a life coach and discuss such habits and behaviors. People often feel very vulnerable sharing about habits that they know do not optimize their health. A non-judgmental life coach can listen with compassion and invite you to make a list of habits and behaviors that you would like to let go. In a supportive environment where your coach is dedicated to help you reach your goals and at the same time encourage accountability, you are more likely to succeed. In addition to support and accountability, a trained life coach can help motivate you by discussing your progress and focus on how good it feels to get closer to your vision. Helping clients identify resources to accomplish their wellness goals is beneficial. One such resource is obtaining a primary care physician with whom you can feel comfortable. When it comes to healthy living and working toward wellness, you can benefit from having a primary care physician. He or she can give you an overall picture of your health through examination, testing and other means. Physicians often recommend lifestyle changes such as an improved diet or more consistent exercise to improve your overall health. Life coaching that promotes healthy choices can be additional support for clients implementing their physicians’ recommendations. In many instances, a life coach can assist you to develop a better working relationship with your physician and maximize the benefit of working with them. From experience working with our clients, surrounding yourself with positive resources make the process of change faster and smoother. Finally, given the negative health consequences of less than optimal life choices, it makes sense to make wellness a top priority. Too many people are suffering from a poor quality of life due to the lack of wellness. It is hopeful to know with a help of a life coach and enlisting other resources, you can implement healthy and life changing habits. Others have done it successfully, and you can too. 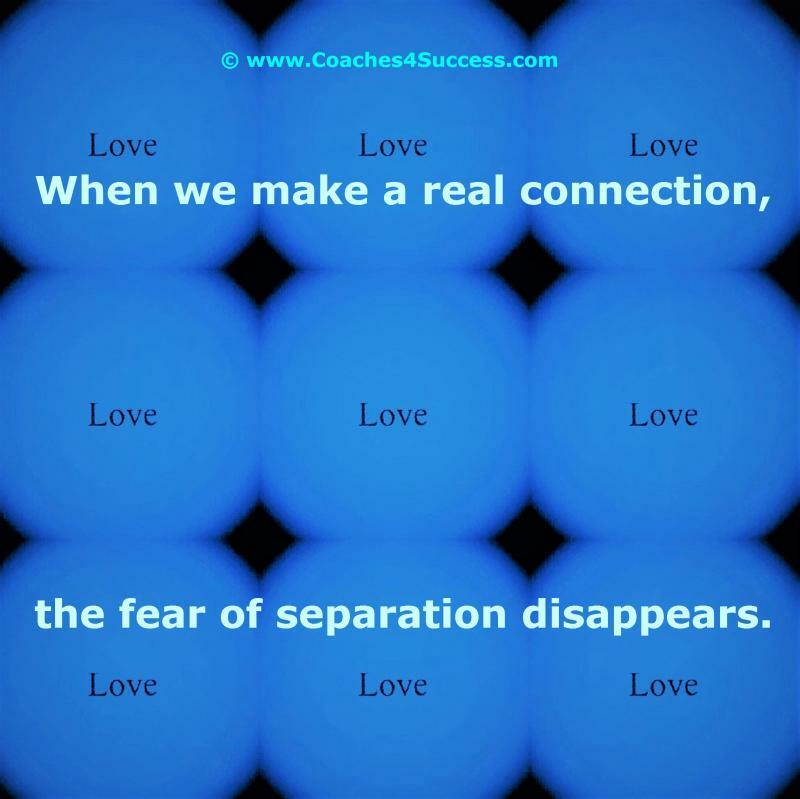 ©This article is copyrighted by Coaches 4 Success, Inc (www.Coaches4Success.com). Many successful people often follow a sensible plan to achieve their goals. Such a plan can be summarized in three steps. Once you implement and commit to the plan, you are more likely to manifest your desired goal. Any successful plan starts with goal setting, that once written down and clarified, is more likely to give you the result you want. Some goals relate to the betterment of a career, finances, education, and others have to do with family, lifestyle, and changing habits or attitude. No matter what you are hoping to achieve, write it down first. Writing down your goal increases the accountability and helps you stay committed. Without commitment, you are less likely to achieve your goal. The act of writing down your goal makes it real and visible. You can increase your accountability by having your written goal somewhere where you can see it every day. Your goal needs to be written in positive and inspiring language. Expressing your goal in an affirmative manner can help generate good energy to support its attainment. If you are working with someone on clarifying your goals, make sure a goal setting session is done within an uplifting context, and the entire process embraces confidence and decisiveness. Your goal needs to be manageable and specific. Based on my experience helping others with goal setting, I often find it helpful to prioritize one’s objectives and focus on one goal at the time. Working on too many goals at the same time can lead to burn out. Writing down your goal and clarifying it can involve using images. Finding images from magazines or other sources helps you create a vision of how the achievement of your goal can look. For example, if your goal is going back to school and getting a degree in film and television studies, find images that speak to your heart and reflect how the achievement of such a goal looks like to you. Believing in your goal is another essential step. So many beautiful life visions never manifest because of the lack of this important step. Do your best to let go of doubt and negativity around manifestation of your goal. It takes some effort to sustain a positive belief system during this process. Believing can be a challenging step because it can make you feel vulnerable. When you believe in your goal and the result does not go your way, you can feel disappointed. It is important to note, believing is different than expectation. Expectation can set you up for disappointment and feeling of failure. You might find it helpful to believe in your vision with the attitude of humility that everything unfolds according to the divine intelligence and for the good of all. At the same time, balance that humility with confidence in yourself and your ability to co-create with the universe. It is easy to get attached to the result of your goal setting and lose perspective on all the variables involved in making your vision come true. Some people might feel entitled to have their vision manifest and contaminate the goal achievement process with arrogance. Embracing humility helps you to approach the process with trust in the universal intelligence. Such trust can free you from obsession and attachment to the result. It feels wonderful to have passion and a strong desire for something you would like to happen. Even greater, if you tap into your confidence and believe in your ability to make it happen. When you balance all that passion, desire, and confidence with the trust that the universe has your best interests in mind, you can enjoy the journey. This is a paradoxical approach to goal achievement. Clarifying your goals and writing them down with the attitude of confidence and a healthy sense of reality needs the support of the final important step: do it. Doing it is about the action needed to support your goal achievement and avoid delaying it. The first course of action is identifying resources to support your outcome. Make a list of anything you can think of that has the potential to help you. For example, if you are an artist and looking for paid work in your field, make a list of all the resources that can help you in this process. After compiling your resource list, make sure to use it. Do what it takes to meet your goal by taking daily actions. Write everyday if your goal is to complete your film script. Exercise as many days your physician recommends if you plan to lose weight. Study everyday if your goal is to pass the bar exam. No matter where you are trying to get, make sure you are taking daily steps toward your destination. Eventually, all your actions will add up and increase your chance of success. It is important to be kind to yourself during this process. Mistreating yourself by criticism and reminding yourself, “I am not doing enough,” is only going to make your process difficult. Also, comparing yourself to others who tend to be a few steps ahead of you is not going to be helpful either. 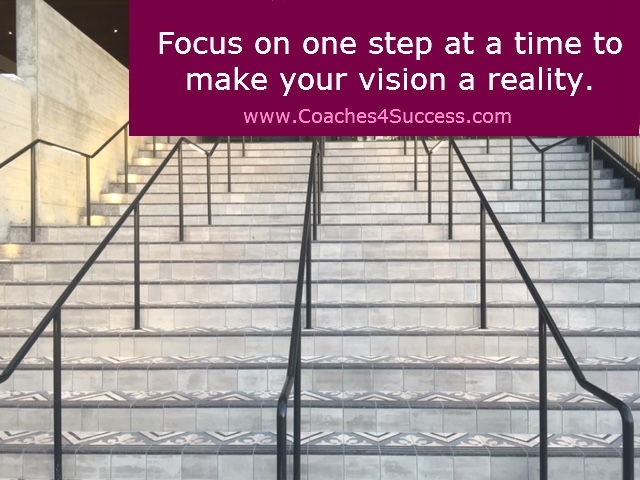 Just focus on one step at a time needed to make your vision a reality. Copyright 2017 Coaches 4 Success. All rights reserved.